You can code the meaning even further by having students use Wixie's recording tools to narrate a definition or use the word in a sentence or two. Students can add terms and definitions using the Text tool on the toolbar. 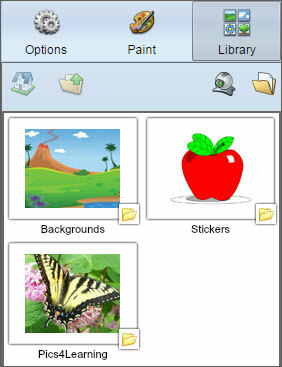 Students can click the Paint button to design original illustrations that represent meaning. 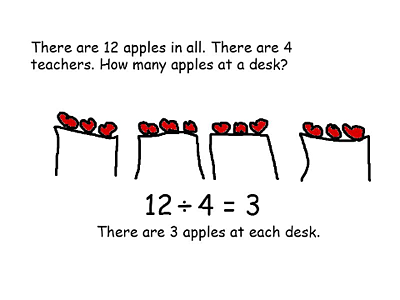 Visualizing word problems can help students better identify key pieces of a problem and the relations between them. Students can easily use the paint tools in Wixie to draw models that represent the text in a word problem. Students can also use Wixie's recording tool to explain their mathematical thinking and reasoning. Even better, ask students to use Wixie's text and imaging tools to design their own word problems. As they work to create the structure, write, and visualize the problem, they build a better understanding of how the words and their relationship represent mathematical problems. In today's information age, infographics have become a popular way to communicate complex ideas and make large quantities of data understandable. Infographics can also be statements of priority and action. Ask your students to take data from their research and use Wixie's paint tools, images, and text options to convey information in a way that is easy to understand. Students can click the Library button to find and add images to support their ideas quickly. “Identifying similarities and differences” is an effective way to help students remember and understand content (Marzano et al. 2001). It also encourages deeper conceptual thinking (Webb’s Depth of Knowledge). Starting with a blank page can be intimidating for some learners. If this is your student’s first blank screen project, you may want to have them first organize their research and thinking using the Venn Diagram available in their Wixie template library. Math is way more than rote memorization and rules. Connect math with beauty and help students "look for and make use of structure" (CCSS.MATH.MP7) by asking students to paint with symmetry and explore additional geometric translations by creating their own Escher-esque tessellations. We often ask students to identify linear or radial symmetry in the objects in the world around them. While this is an effective formative assessment for teachers, it isn't very exciting or engaging for students. 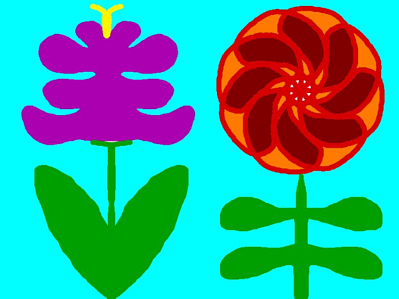 Instead, ask students to try to paint these objects using the symmetry tools in Wixie. To paint with symmetry, have students open the Paint panel, choose a paint brush, and turn on symmetry. Most students will recognize the art of M.C. Escher and many can even name the artist. Capitalize on this familiarity by asking students to learn geometric transformations through the creation of their own tessellations. It is easy to use Wixie's paint and selection tools to create reflection, rotation, and translation tessellations. Explore more in this Tessellation Sensation lesson plan or these step-by-step directions for creating rotation and reflection tessellations. Poetry is a great way to introduce students to imagery and precise language. As a fun performance task for students to demonstrate comprehension of vocabulary, word choice, and figurative language, ask them to create visual versions of the poetry you are reading. Have students work in teams to choose a poem, reread it, and discuss the author's use of imagery and precise language. Then, ask students to create a page in Wixie, type a single line or stanza from the poem and add images that help the viewer understand the author's intent. Effective visual poems quickly develop into multi-page projects. Students simply click the Add Page button on the toolbar to add additional blank pages to their projects. They can use the green navigation buttons at the bottom of the interface to move between pages as they are working. Comics are a popular medium that can help you connect student learning to the classroom. Creating a comic strip is a great way to get students thinking about the stories or informational texts they are reading. The limited amount of space in a comic’s panels requires students to choose the most significant points in a text or story. Comics also require students to use images to support and extend the meaning of the text they are sharing. Again, research by Marzano et al. 2001 shows that as they work to summarize and use nonlinguistic representations, students improve their recall and comprehension. Crafting a fictitious interview is a fun way to connect students with the stories or informational content they are learning. For example, students could interview a person from history, an animal, a character from a book, or even a historic artifact or structure. Because the answers they create for their interviewee are in first person, it is difficult to simply copy and paste facts. To be interesting and effective students must empathize with and personify the person, place, or thing they are interviewing. Rather than answering questions you provide, require students to come up with the interview questions themselves to gain practice in inquiry. This also helps you evaluate how well they understand the big ideas behind the facts they find. Students want to see how the content and skills they are learning in the classroom connect to the world around them. Combine their budding skills as informational and argument writers with their passions, by asking students to craft public service announcements that raise awareness, inform, and change behavior on topics like conservation, health, and social issues. To create effective messages students must research thoroughly, identify fact versus opinion, develop claims and the evidence to back them, and consider their audience. Creating a PSA also requires students to practice skills in all four dimensions of the C3 Framework for Social Studies State Standards. Since Wixie works online, student work is published instantly. Simply share student work in Wixie by including the project URL in an email or tweet or by embedding the project in your classroom web page. A blank screen can be empowering to your learners, transferring responsibility for learning to students as they use Wixie's canvas and tools to demonstration learning and share ideas. As they grow in their abilities, push them to share their knowledge and ideas to better their communities and change the world.